With every event or activity you can help us, to raise awareness and to generate donations. 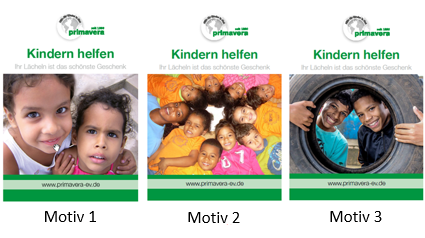 Therefore, you maybe will need our posters to provide some general information about the Primavera organization. You also download our posters in 7 different variants from the right side of this page. Please contact Gabriele Geisbauer via E-mail to order posters in print.